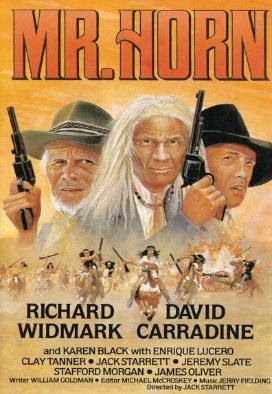 �Starring Richard Widmark & David Carradine. Starring Richard Widmark & David Carradine. The real life adventures of Tom Horn, Army scout, frontiersman, Indian fighter And lawman turned bounty hunter. He fights Mexicans and survives ambushes, Skirmishes and massacres. He’s sent after Geronimo and brings him in. And that’s only The beginning.